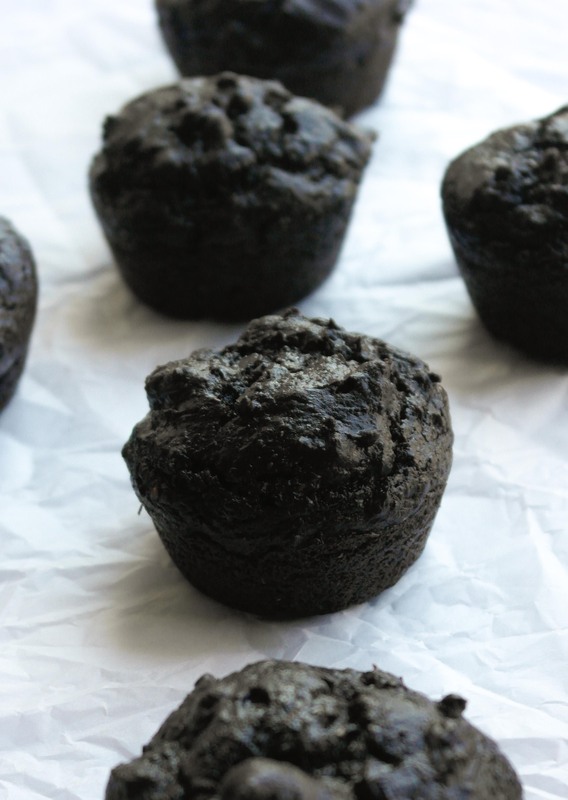 The secret ingredient in these chocolatey, rich, moist muffins is the avocado! This recipe doesn’t use any butter or oil and has whole wheat flour, so these make for a nice healthy breakfast. I made these muffins on a total whim. It was actually one of the most spontaneous recipes I’ve ever tried and probably the most enjoyable! It was one of those zam bam boom moments: I was in my room thinking about the avocado that I had sitting on my counter and then it hit me. Avocado muffins! Avocados are an interesting little…animal? Fruit? Uhhh what is an avocado? It doesn’t matter. They’re little green delicious things that are full of healthful fats. This means if you’re looking for a recipe with reduced calories and fat, you can substitute some or all of the fats with avocado. They’re also really high in fiber and protein. Basically, avocados are a powerhouse food, but let’s be honest, everything is better in a baked good! To find a recipe I could play around with, I did a little googling. I found a recipe for Avocado Blueberry Muffins that looked interesting. I had a container of blackberries that were borderline overripe, so that would be perfect. I ran into the kitchen and threw open my cupboards. I started pulling out ingredients and then I saw it: Hershey’s Special Dark cocoa. I felt like one of those chefs on Chopped (which is one TV right now by the way.) The items you have in your basket are: avocado, chocolate, and blackberries! You have thirty minutes to make a delicious, perfect dessert. GO! So, that’s how this recipe was born. It was very off the cuff, but in a way, that’s the most fun way to bake. The morning after I baked them, I put them on a cookie sheet and warmed them for ten more minutes. They came out perfect. The outside was more firm than they had been. I put a little bit of peanut butter on it because I absolutely love peanut butter on anything and everything. Make sure your avocado is ripe. You can tell an avocado is ripe when the stem hole (I don’t know the technical terminology) is a nice light brown color. You certainly don’t need to use blackberries! You could use any fruit in season, like blueberries, raspberries, even strawberries! Or no berries at all! This recipe doesn’t need to be chocolate! Just replace the cocoa with a half cup of flour and you’ll have a slightly green, but nevertheless chocolate-less, muffin. One of the benefits about an internship is an office full of people who eat your desserts. Now I have a permanent crowd to pawn my desserts off onto, and nobody’s complained (yet.) These muffins received rave reviews from my coworkers. The muffins disappeared within a half hour. Someone said they’re like “eating chocolate.” Kind of a vague statement, but these are ridiculously chocolatey. Like, so chocolatey that at first I was a little worried that I’d put too much chocolate cocoa in them. But really, I shouldn’t have been worried. When has there ever been too much chocolate? 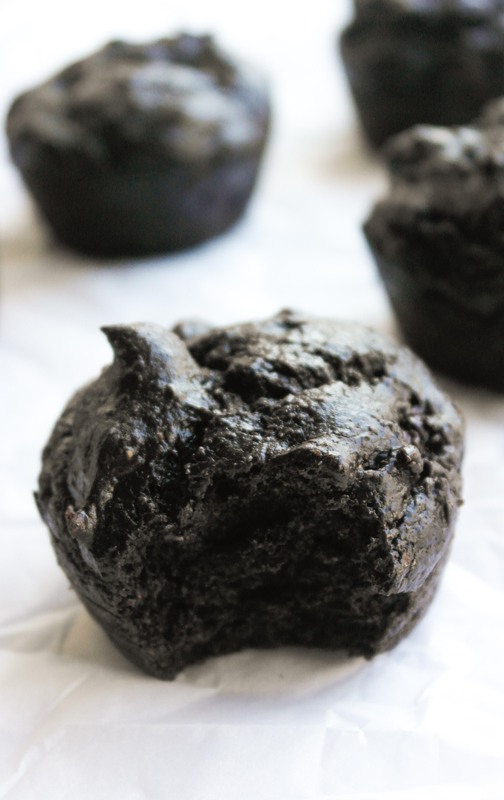 Go give these muffins a try. They’re so chocolatey, they’re supremely moist and they’re even a little healthy. Have a spare avocado lying around? In a medium bowl, stir together flour, baking powder, baking soda, salt and cinnamon. In a separate electric mixer mixing bowl, add avocado and beat on medium speed until smooth. Add sugar, and beat until well blended. Add egg, and continue beating until completely combined. Add vanilla and buttermilk, beating until just combined. Add half of the flour mixture into the batter in two separate batches, beating until just combined. Do not over mix or your muffins will be tough. Gently fold in blackberries by hand. Spoon 1/4 cup batter into prepared muffin cups, and sprinkle with streusel topping. Bake for 25-30 minutes, or until a toothpick comes out clean. Cool for 5 minutes before removing.